With our resolution to do add some writing into our days I knew I was going to need a nice long list of fun ways to incorporate writing in our schedule. My boys are very resistant to writing and I'm hopeful that we can find enough fun activities to make this addition to our day relatively painless. Some days we'll focus more on spelling, some days we'll focus on composition, some days we'll just write a little and other days we'll write a lot. 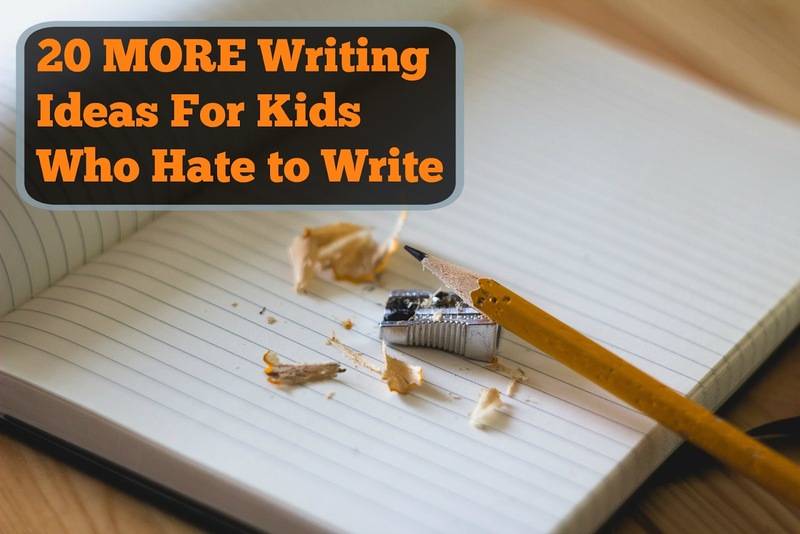 Now that the boys are getting older my previous post on 10 writing and spelling activities for kids who hate to write needed to be updated. Many of the ideas were no longer an option when I have a 6th grader that really needs to learn the fundamentals of writing and spelling. Most of these are ideas I looked for with my middle schooler in mind. 1. Copywork-- My older boys each have a cursive book where they copy sentences. All three boys have enjoyed using the books Draw Write Now and I want to make sure to use these resources more than once a month. We also invested in a Draw and Write Through History book and we'll be using that more too. 2. Round Robin Writing-- We did this a few weeks ago and the kids LOVED it! Starting with a blank piece of paper I had them each write a sentence introducing a male character. For example: "There once was a cranky old man named Ed". Then they folded the top of the page over their sentence covering it up and then pass it on to the next person; without reading the paper they'd been given they wrote another sentence about a female on the paper then fold it over and pass it on. For Example: "There was a beautiful young woman named Giselle." Then they wrote a sentence about where and how their characters met... folded the paper and pass it on. They each wrote a sentence about what the characters said when they met... and passed it on. Then they each wrote a sentence about what happened next.. folded the paper over and passed it on. Once they had been around the table twice we read aloud our silly stories and had a good laugh. They were BEGGING me to write another story! 3. Journals-- I ordered some writing and spelling journals for the boys on Amazon. Between Unjournaling and Fun Spelling from the Thinking Tree. I think we'll have lots of fun writing ideas! We've become a bit hooked on Thinking Tree journals and use both of their spelling books with the older boys. 4. Recipes-- My boys all enjoy helping out in the kitchen baking and cooking. We've made up our own recipes in the past and they enjoyed this tremendously. I'd also like to mix it up every now and then and have them try to write up a favorite recipe from memory. 5. Tell and Relate-- We'll take two totally unrelated objects (like a crayon and a block) and the boys will have to write a description for each object; as detailed as they can get. Making sure I only show them one object at a time and encourage them to use all 5 senses. After they have a paragraph written about each object they'll have to write about how the two objects are related. 6. Pick and Choose-- putting random words into a paper bag the boys will have to reach inside; choose three and write up a poem or story using the words they chose. Very similar to the Roll and Write stories we did last week that they had so much fun with. 7. Different ending-- choosing a favorite storybook the boys will write an alternate ending. It can be silly or serious but it should be great fun to imagine what else could have happened instead. 8. Persuasive writing-- they have each been begging for their own pet; in this exercise the had to write why they wanted a pet and try to persuade me to buy them one. Talk about motivation! We started by reading the story I Wanna Iguana and then I handed then each an organizer asking what pet they wanted and four reasons why they wanted that pet. They had a lot of fun with this and some of their answers were hysterical! Ian wants a pet fish because he won't have to walk it like a dog. 9. 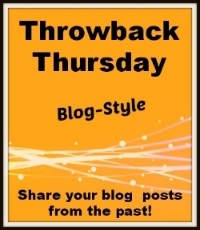 Pictures are worth 1,000 words-- I have many silly pictures pinned to my writing prompt board on Pinterest and using one of the pictures they have to tell me a story about it. 10. Questionnaires-- Much like our New Year's questionnaire we filled out at the beginning of January, I have a lot of other questionnaires printed out. While the boys don't shout with joy over these they do like to know that they only have so many questions to answer and so much space to write. They're quick and easy and some days we just need quick and easy. 11. 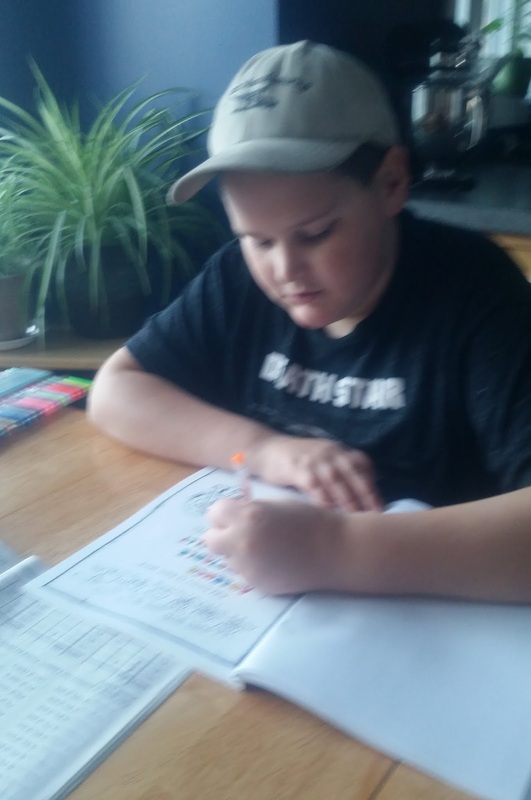 Write in Code-- We have a few code books with ciphers and the boys have enjoyed writing in code before. It's always fun to exchange papers afterwards and try to crack the codes! 12. Expanding sentences-- Taking a plain white paper we'll fold it in 4. In the top space they write a simple sentence like The dog barked. Then they'll have to expand on that same sentence three more times: The big dog barked. The big, brown dog barked. The big, brown dog barked at the cat. 15. Paint Chip Poetry-- (you can check out examples and instructions here). Using the large more square- like paint chips from the home improvement store each boy will write a metaphor for a color; for example yellow is cheerful and then they have to write three supporting similes in each of the following boxes: for example yellow is the taste of lemonade cool and sweet on hot winter's day. Yellow is the touch of buttercup petals tickling my chin. Yellow is the sun warming my face and neck after a long cold winter. 18. Oral storytelling-- One day last spring/ summer we were having a picnic outside on the lawn and rather spur of the moment we decided to look up at the clouds and began telling stories about what shapes we saw in the clouds. It was a wonderfully, fun way to work on storytelling without them limiting their descriptions or words because they had to worry about writing or spelling. 19. Round Robin Poetry-- Not all poems need to rhyme! 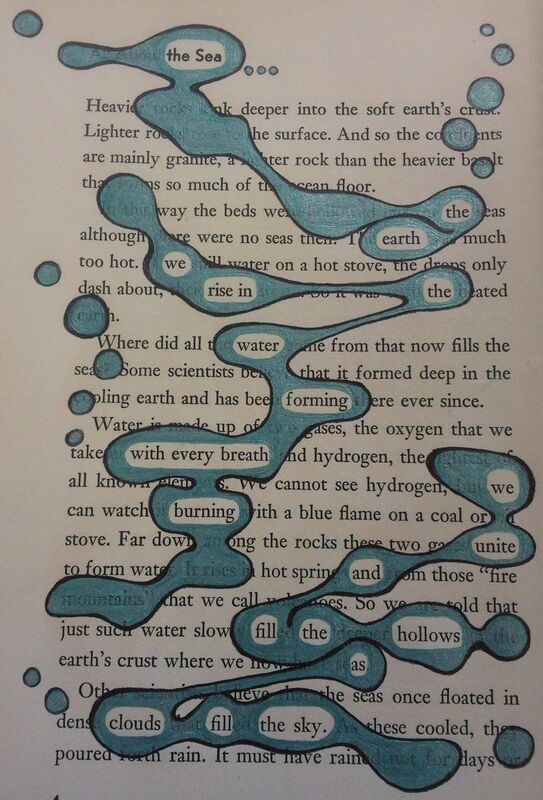 What better way to illustrate that than to have three different people working on one poem? Much like the round robin writing assignment above the kids will take turns blindly working on a paper; except this time we'll pick a topic and they'll be responsible for writing full sentences each turn. 20. Mailing Letters-- I have these tiny tin Valentine's day mailboxes I found a few years ago at Target. My plan is to put a mailbox in each child's room and start writing letters to them in hopes that they'll take it upon themselves to write back eventually. Of course I'll ask them lots of questions to prompt them into writing back and I plan to put a small basket of paper and pencils next to them. Their own mini writing centers set up in their room for their eyes only. What fun ideas! 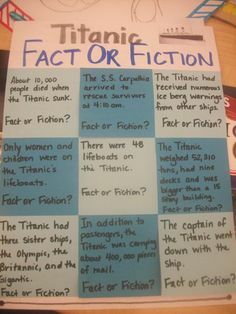 I love the Fact or Fiction board...what a great way to show what they've learned in science or history. Thanks for linking up, and for these great ideas. We will be using many of these!! Glad you like my list! There are a lot of great ideas here! I especially liked the Round Robin idea! It sounds fun! Thanks! My boys sure enjoyed it. Wow, great ideas! I'm going to have to look into the Unjournaling book. It is just a guide for various topics to write about and not an actual journal... which I did not realize when I bought it but we just pull it out to use with our journals if someone needs a fun idea. We used to write letter to my mom when she lived in the south and while they didn't love it; we did have to review each month how to set up a letter. Love these! My girls love writing in journals, especially the ones that allow them to draw a picture to go along with their writing. I really like your Fact or Fiction board. This would be fun for a game day! Yes! It would be. I was thinking of having the boys use the fact/ fiction board as part of their science or geography fair display boards. I thought it would be a fun interactive component that would draw kids in. Oh thank you! I certainly plan to but we'll see how it goes. Our internet is down right now and so it's not so easy working on m blog. This list is fabulous! I'm paying close attention to the Subtraction Poem and the Tree of Life writing for starters. Taking notes so we can schedule some of these activities in the coming months. Thank you! I added a bunch of these to our schedule to try soon too. I love the Round Robin and Subtraction Poetry ideas. Fantastic! Thank you! My kids love any sort of Round Robin storytelling. Lots of wonderful ideas. I really liked the subtraction poem. What a lot of great ideas! Thanks so much.